On our way back from Rhode Island this evening we decided to stop by the store and pick up some groceries. I've been in a Norwegian state of mind lately so I picked up a nice piece of Norwegian salmon, though I wasn't really sure what to do with it. When I'm not really sure what to do with something I tend to lean towards pasta. It must be my Italian heritage. 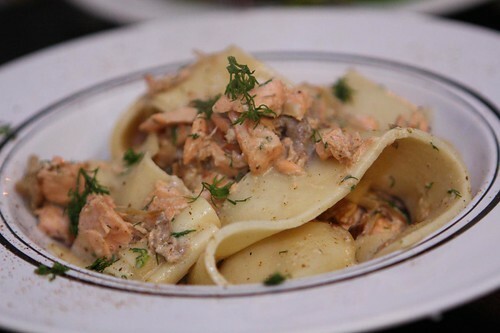 I cut up some pasta sheets into pappardelle noodles and boileld them then added them to a sauce I made with olive oil, butter, shallots, salmon, dill, cream, milk, salt, and pepper. Over the top I sprinkled a little Old Bay. 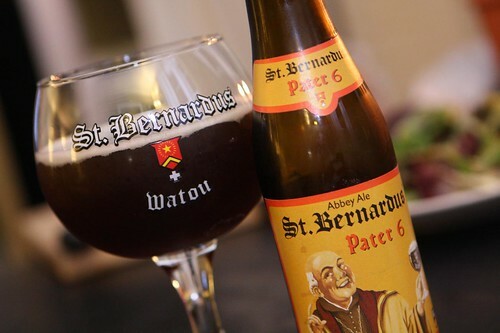 For beer I had this Pater 6 by St. Bernadus. It was not the natural accompaniment to a salmon cream sauce but it was delicious. 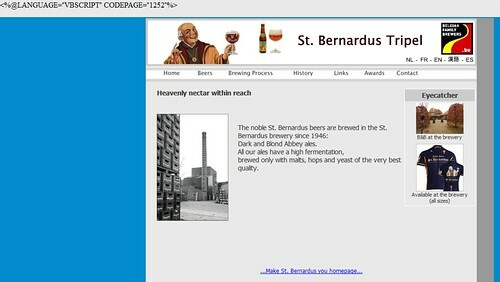 Over the years I've found that the quality of a Belgian beer is inversely proportionate to the quality of its website. If that is true then you can determine how good this beer is by clicking here. Oh, yeah. That's some good beer.